Nicotine is a very addictive drug for many people. Its usage triggers the release of dopamine, the feel good body chemical. 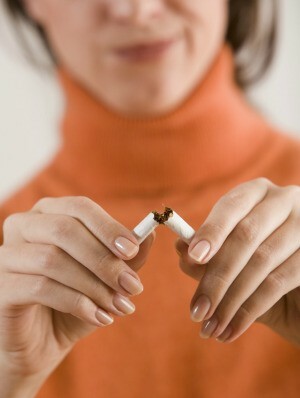 Quitting smoking will result in some level of withdrawal symptoms, such as weight gain, irritability, headaches, and more. This is a guide about coping with the symptoms of nicotine withdrawal. I quit smoking almost a week ago, cold-turkey, but with aids like the patch and the nicotine gum. Three days ago I began experiencing fevers, chills, aches all over my body, migraines, loss of appetite, and a severe pain in my left side going thru to my back. I've searched the internet trying to find answers, if this all is associated with smoking, but to no avail. Hopefully someone on this site will provide an answer? Although my symptoms were a bit different from yours, and seemingly unexplainable, have been there experienced that ;-) It's psychosomatic (of or relating to a disorder having physical symptoms but originating from mental or emotional causes). It's simply your brain trying to trick you so just 'resist, resist, resist having even one single cigarette' and I promise the symptoms will be gone soon. You have something going on that is not nicotine withdrawl symptoms. Call your doctor. I quit some time ago using the patch and did not experience anything like that. Call your doctor! I quit smoking in February. I didn't think I would make the first week. I got so sick. The fever, chills, and achiness all over is from your body releasing the poisons you have been ingesting for however long you have smoked. The migraine as well, but that is also your brain telling you to get some more nicotine in it, it is running low. Be grateful for the lack of appetite that you experience right now, soon the taste buds will perk up when they actually taste the food you have been diluting with the taste of smoke for so long and then you will fell like you will never stop eating (Of course you will, it will just feel like it for a while). The pain in your side going to your back may be from your lungs clearing out. If you go to the American Cancer Association's website, they will be able to give you more information and there are a few website's devoted to quitting smoking you may try also that are listed on the ACS website. I am glad donnamsar shared her info of same symptoms as you! Do listen to her advice because everyone has different experiences with quitting.